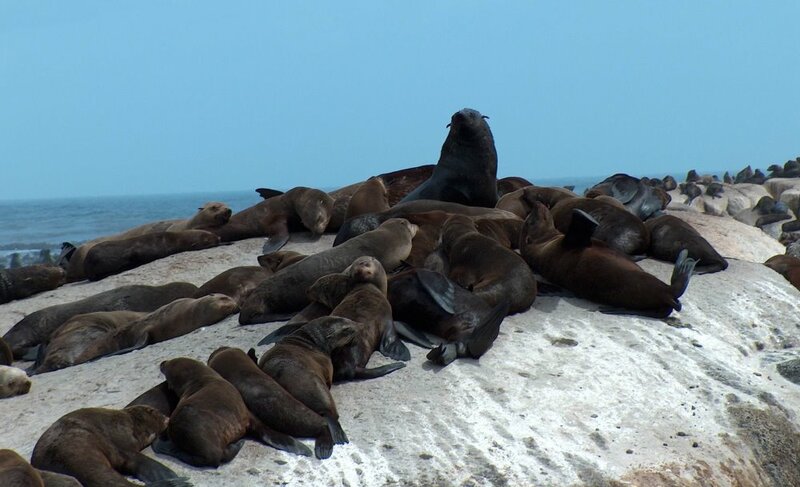 Go with a glass bottomed boat to Duiker Island and see the Cape fur seals colony up close and personal! Circe has been operating from Hout Bay harbour since 1972 and launched the very first visits to “Seal Island”. 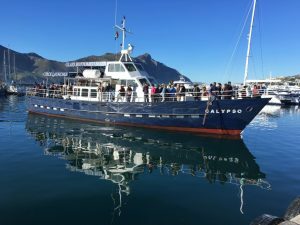 Sail with the original ‘Seal Island’ cruise operator from Hout Bay to the magnificent Duiker Island. 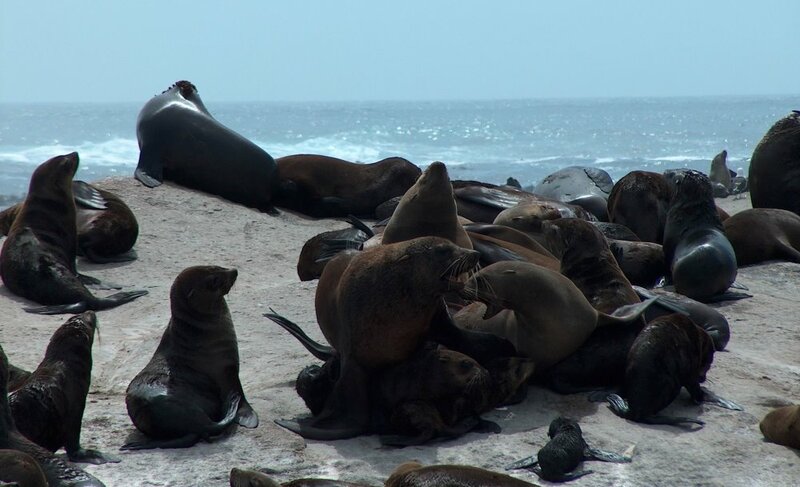 Also known as seal island, Duiker Island is home to a colony of thousands of Cape fur seals that you can view up close on this tour. Circe Launch’s qualified and experienced crew enable visitors to get within just feet of the island, allowing for intimate views of the seals in their natural habitat. The island, located in Hout Bay just outside of Cape Town, is teeming with life including hundreds of seabirds, as well as magnificent kelp forests indigenous to the region. 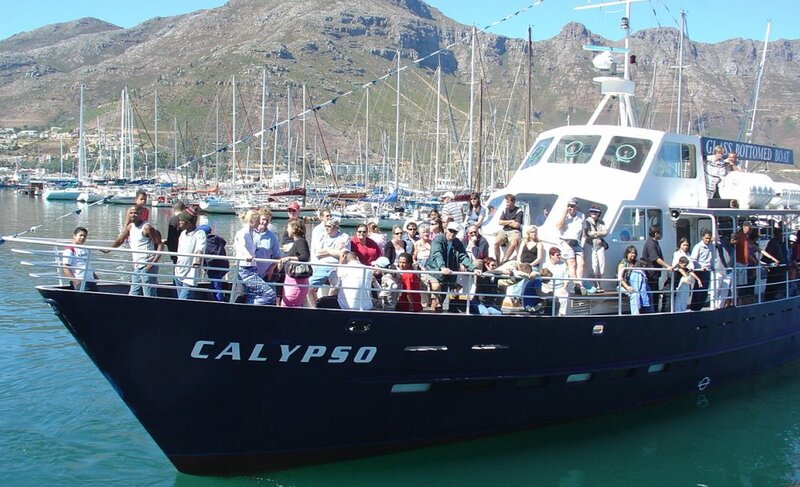 Circe Launches has been sailing from the Hout Bay harbour since 1972. In the early days, Circe used two World War II Sea Rescue boats to take visitors seal and bird watching on Duiker Island. The island is home to 6,000 of the seas, the majority of which are young males waiting to reach mating age. With such a huge number of seals, it’s no surprise that the waters surrounding the island house a number of hungry great white sharks. Note: Additional afternoon departures occur on Saturday, Sunday and during holidays. Circe Launches is the only cruise line that offers a glass bottomed boat for viewing underwater marine life. The cruise lasts approximately 40 minutes. Guests should remember a camera to snap close-up pictures of the bird and the seals playing and jumping near the boat. Once aboard check out the view of the harbour and surrounding mountains from the upper deck. Also, keep an eye open for whales and dolphins – they are easier to spot from the higher vantage point. Circe Launches sails South Africa’s only glass bottomed passenger boat. The m.v. 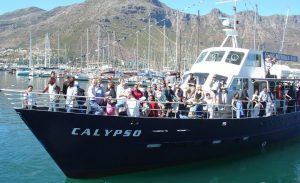 Calyspo was built in Hout Bay by Warren Marine and boasts two glass viewing ports at its bottom, which provide passengers with a clear and extremely rare view of undisturbed marine activity.